The Head MX Cyclone racketball racket has an incredibly durable alloy frame with a 106in2 (684cm2) head and an open 16x19 string pattern that helps generate extra power and spin. The frame of the racket weighs 190g (6.7oz) and is head light balanced to make it easier to manoeuvre. 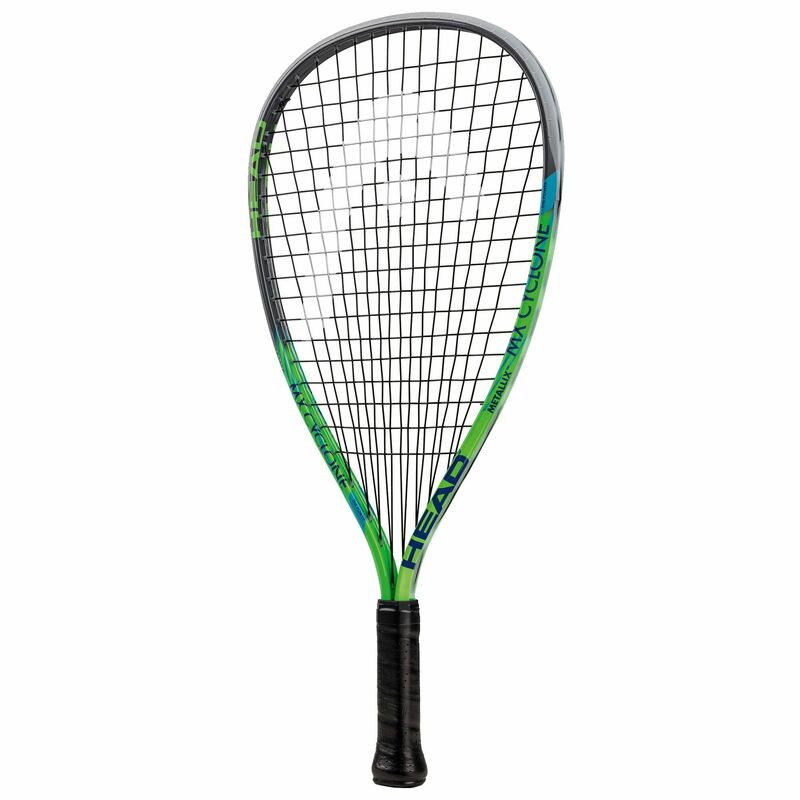 The racket features the Metallix technology which makes it lighter, stronger and more powerful as well as the HEAD’s revolutionary split beam frame construction for extreme power. It is best suited to novice players and comes strung with the Powerzone PPS that is not only durable, but also more resilient creating incredible power on all shots. for submitting product review about Head MX Cyclone Racketball Racket AW14.